The failed company's liquidators – who already took £21m for advising the firm – could take hundreds of millions in fees. This week parliamentary committees examining the collapse of Carillion will take oral evidence from PricewaterhouseCoopers (PwC). The firm’s partners have been appointed ‘special managers’ and are effectively acting as liquidators. PwC has already collected £21m in fees by advising the company’s directors, pension trustees and the UK government. More will follow as Carillion’s liquidation will corporate undertaking generates vast fees. 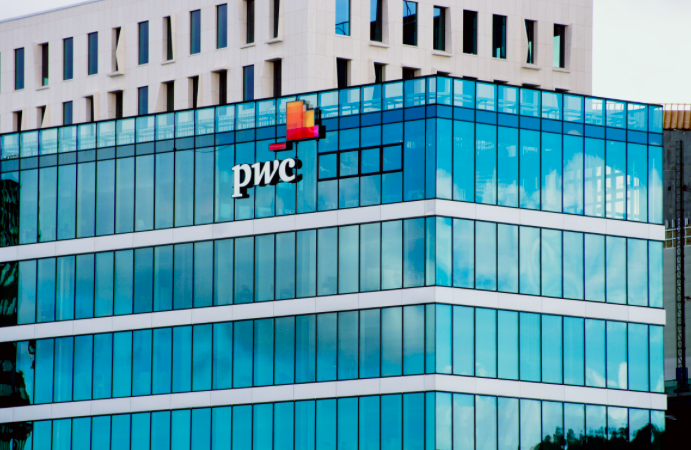 A liquidator is expected to maximise the return for creditors, but is hard to see how PwC can do that as it has acted for the company and its pension scheme. Faced with numerous conflicts of interests how can PwC objectively and independently deal with competing demands of the Pensions Regulator, trustees of the pension scheme and the interests of creditors? How likely is PwC to find fault with its own advice to the company and sue itself? PwC was the auditor of BHS and the quality of its audits is being investigated by the accounting regulator. The firm was fined £5.1m for audit failures at RSM Tenon and another £5m for failures at Connaught plc. Yet PwC is expected to evaluate the quality of audits performed by KPMG at Carillion and consider whether any legal action is warranted. Liquidation is PwC’s last chance to feast on the carcass of Carillion. To understand that one has to look at the UK insolvency industry. The UK has about 1,300 active insolvency practitioners. The law requires that all personal and businesses bankruptcies, administrations and liquidations must be handled by them. This state guaranteed monopoly is primarily under the control of accountants belonging to a few professional associations. Nearly 50% of the insolvency practitioners are located in the big four accountancy firms (PwC, KPMG, Deloitte and Ernst & Young). Following the Insolvency Act 1986, secured creditors have the first claim on the cash and assets of the insolvent business. Insolvency practitioners are next in the queue. Higher fees for them will leave little for unsecured creditors who always come after the insolvency practitioners. Insolvency practitioners are licensed and regulated by professional bodies, such as the Institute of Chartered Accountants in England & Wales (ICAEW), Institute of Chartered Accountants of Scotland (ICAS) and others, under the supposed watchful eye of the Insolvency Service housed in the Department for Business, Energy and Industrial Strategy. The insolvency industry has long been mired in sleaze and scandals. The Tomlinson Report shows that insolvency practitioners have collaborated with banks to put perfectly healthy businesses into liquidation and collected mega fees. However, there is little retribution as complaints and abuses are investigated by the professional bodies masquerading as regulators. Inevitably, there is little effective regulation of insolvency practitioners. Some liquidations run for years. The record for the longest liquidation goes to PwC. The Israel-British Bank collapsed in 1974 amidst the secondary banking crash, and after 35 years, in September 2009 PwC announced that the liquidation has been finalised. As the insolvency practitioners’ fees are often based on time, the longer the duration of an insolvency higher the fees. In July 1991, the Bank of England forcibly closed the Bank of Credit and Commerce International (BCCI). Its liquidation was finalised in May 2012 by Deloitte and other advisers (lawyers). The firm chalked up fees of $656 million (£415m). What might PwC charge for the administration and liquidation of Carillion? Some clues are provided by the fees the firm has charged to its recent liquidations. Lehman Brothers was the headline casualty of the 2007-08 banking crash and entered administration in September 2008. It is still not finalised but administrators PwC and its army of lawyers and advisers have already collected more than $2.2bn in fees. The above is not unique. The liquidation of HCL Realisations 2013 Ltd, a company selected at random, shows the following hourly rates charged by PwC. Seemingly, even a humble clerk can be charged out at the rate of £160 per hour. To put the above into perspective, the median gross weekly earnings for full-time employees in the UK were £550. In one hour, a PwC insolvency partner will collect more than double what a Carillion employee may have collected after two weeks’ work. Insolvency regulators do not question the fees charged by practitioners. In principle, creditors can make application to the courts to contest charges by the liquidators, but that is costly and rare. Unsecured creditors are already broken by liquidation and are hurriedly trying to find new business, often simply to survive. They do not have the financial resources to challenge the big firms. Besides, in the absence of access to the liquidator’s files, creditors have no idea of the reason for the fees or whether the practitioners’ work was even productive or necessary. The above is indicative of the rates that PwC will charge for the liquidation of Carillion. The final fees may well exceed £100m and unsecured creditors are unlikely to get anything substantial.